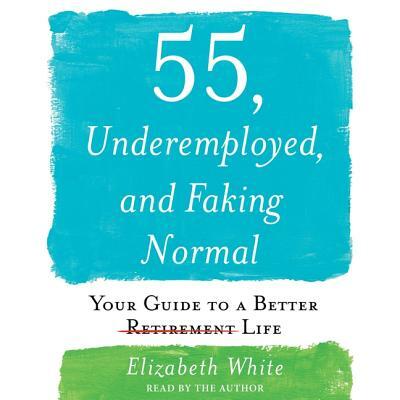 For the millions of people in their fifties and sixties who find themselves out of work, unable to find a job, and financially incapable of retiring, here's a practical plan for getting past any blame or shame, overcoming denial, and finding a path to a new normal.Elizabeth White has an impressive resume, which includes advanced degrees from Harvard and Johns Hopkins and a distinguished employment history. She started a business that failed and then tried to re-enter the work force in her mid-fifties, only to learn that there is little demand for workers her age, even with her outstanding resume. Her retirement savings account was largely depleted by her business. For a while Elizabeth lived in denial, but then had to begin to adjust to her new reality, shedding the gym membership, getting a roommate, forgoing restaurant meals, and so on. She soon learned she wasn't alone: there are millions of Americans in her predicament and worse, exhausted trying to survive and overcome every day. In 55, Underemployed, and Faking Normal, Elizabeth invites you to join her in looking beyond your immediate surroundings and circumstances to what is possible in the new normal of financial insecurity. You're in your fifties and sixties, like Elizabeth, and may have saved nothing or not nearly enough to retire. It's too late for blame or shame--and it wouldn't help anyway. What you want to know is what you can do now to have a shot at a decent retirement. Or, as Elizabeth puts it, "small up to create the best possible life on less income." Affirming and empowering, this book is a must-have for anyone whose income has suddenly diminished or even disappeared. With more than 100 online resources, it guides you through the emotional aspects of where you've landed and offers practical advice and options. If you're ready to stop beating up on yourself and get serious about feeling good again, this book is for you.